SurveyAnalytics Blog: SurveyPocket Backs Up Your Survey Data With Every Synchronization! SurveyPocket Backs Up Your Survey Data With Every Synchronization! 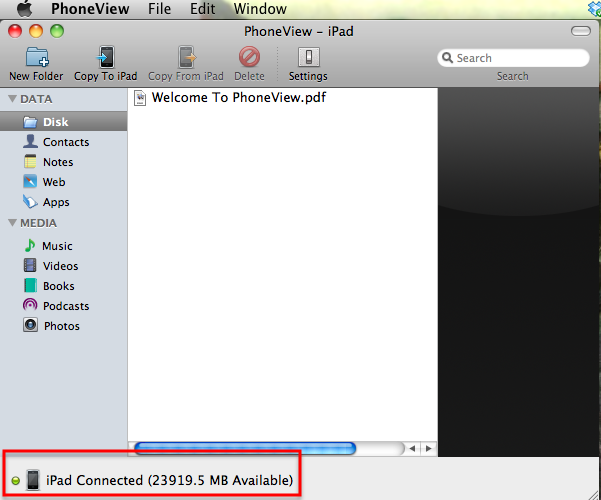 What a relief it is to know that my synchronized data is also being stored directly on my device! Yet another advantage in innovation SurveyPocket has created for itself. No more worrying that the data you synchronized disappeared into the ether! 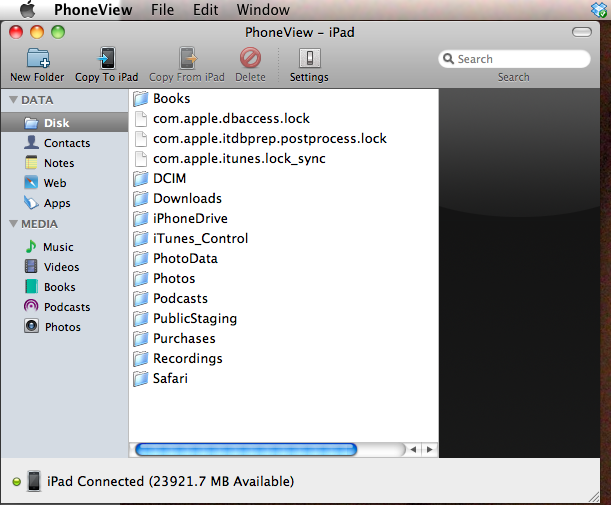 How do I retrieve backed up data directly off of my iOS device? The logging ability allows you to have a backup of survey data taken from SurveyPocket. AFTER SYNCHRONIZATION between SurveyPocket and your online Survey Analytics account, a data file is created and stored within your device. *By having access to this data, your customer representative is able to retrieve data that may not have appropriately synchronized. 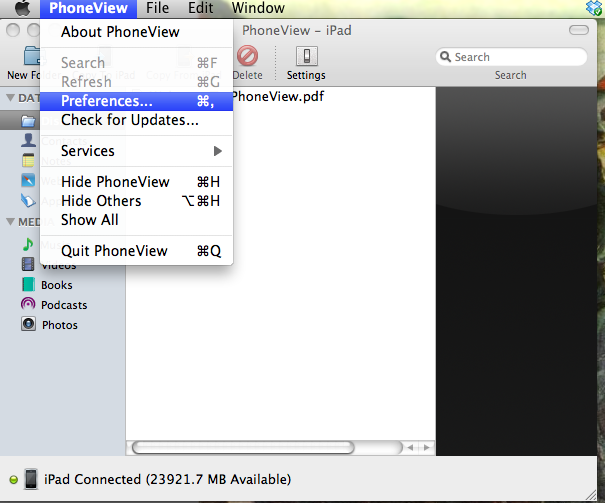 For Macintosh users, in order to look inside of your device’s files, you will need to first acquire a third party application called “PhoneView” (this works for all iOS devices). You can download a demo version of this application here http://www.ecamm.com/mac/phoneview/. 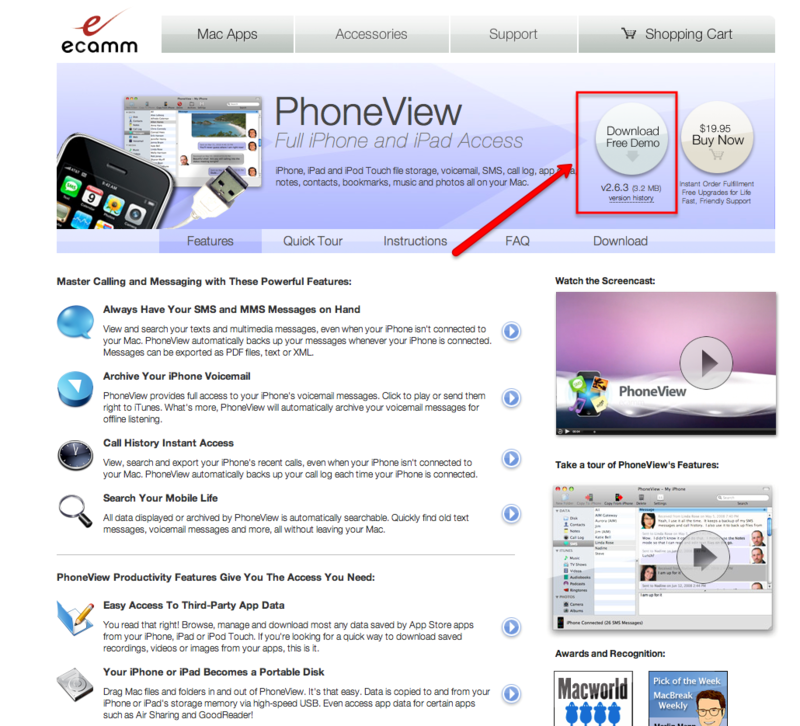 For Windows users, according to the PhoneView website’s FAQ: “At this time, PhoneView is Mac-only. We recommend TouchCopy for Windows users.” We encourage you to explore this application, as it is very similar to PhoneView. 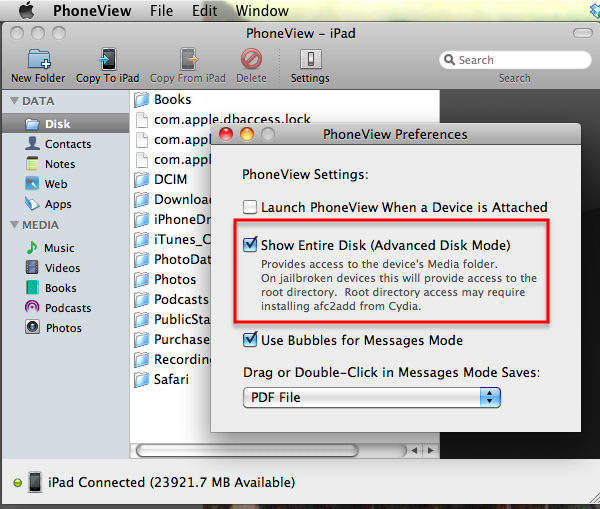 Once you’ve turned on the ability to “Show Entire Disk”, you’re now able to look inside of your device’s documents. You will now see folders named with the customer ID associated with each device key used. The file is named with the customer ID, the date, and the time the synchronization occurred. Send this file to your customer service representative and that’s it! I'm really impressed with the way you've integrated this so perfectly for iOS and OS X. The clarity of these posts are getting me really excited to start using Survey Pocket and SurveySwipe. Nicely done!